That quote appears in a recent Washington Post story about the use of pilotless drones for domestic surveillance purposes, raising questions as to the use of a new and cheap surveillance tool. The quote could equally apply to any type of surveillance. We don’t like being watched yet we have somehow come to tolerate it. Why talk about surveillance? Because it seems to be the topic du jour albeit in a way far different than we normally consider it. Trying not to put it too starkly, indiscriminate use of geolocation technology by users results in surveillance. Last year saw a large degree of interest (think Google and Nokia) in using GPS, 3G and Wi-Fi networks in building large databases that associate location data with places. Social media platforms e.g. Twitter and Foursquare seem especially keen on combining location and users – despite not yet being able to monetize the practice. On-line tracking is surveillance. According to a survey conducted by the Interactive Advertising Bureau, 80% of the advertising campaigns of 2009 involved on-line tracking. The Wall Street Journal did a series on the subject and found that the top 50 web sites in the US installed an average of 64 tracking tools on the computers of individuals. Targeted marketing is more effective than non-targeted marketing but Rapleaf’s sale of Facebook IDs is just one disturbing example of why we rightly should be concerned about the extension of surveillance. The FTC’s recent call for a Do-Not-Track list seems an attempt to respond to the issue, athough there are technical questions as to its feasibility. 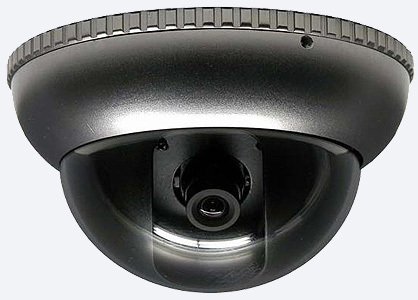 One can couple these newer types of surveillance with an expansion of video surveillance. We’re used to cameras on street corners, in buildings, on transit, in taxis and even in our autos. We’ve somehow – erroneously — accepted it as a security measure to protect us or protect the people who interact with us in certain situations. Both Ontario’s IPC and the federal OPC have produced guidelines concerning the use of video in public places. Aside from notice and extremely limited retention periods, they don’t seem to have made anyone really pause and think about whether they should implement a video surveillance regime. More “how to” than “should you” although both do call for video surveillance to be “last resort” exercise. One might even argue — in this time of deficits — that they’re an unnecessary public expense. You can’t help but wonder if someone, somewhere always seems to capture something on video and uploads it to YouTube before anyone thinks of checking a surveillance camera. If you want a sense of what I mean, look at some of New York Times remix of YouTube footage from recent events in Egypt. Everyone seems to be holding up a phone to record something. It may not be Big Brother you have to worry about; it may be the person next to you with a smartphone video camera. Or, then again, it just might be that invisible drone overhead. But are there lessons to be learned from video surveillance that we can extend to other tracking technologies? Without conceding the point, if we’ve lost the battle on collection, do we shift our focus to permitted uses and disclosures? Do we extend the concept of an extremely limited retention period to other types of tracking technologies? Perhaps the evolution in surveillance presents an opportunity to take some of the past privacy-relating thinking on video surveillance and extend it to electronic surveillance. Something to ponder further.